Our Appleflats products are available in over 200 retailers and locations across Ontario. You can find us in chains like Sobeys, Pusateris and many independently owned grocery stores in between. Our Crabapple Mixers are now available in select Farm Boy Locations across Ontario. 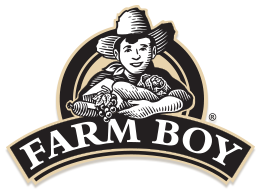 Find our mixers in Farm Boys Harvard Square Plaza location in Hamilton and the Shoppes of Alderwood location in Toronto. You can also use the map below to find a location nearest to you. If you are a retailer looking to carry Appleflats products, contact glensmyth@appleflatsfoods.com or alexsmyth@appleflatsfoods.com for more information. We are proud to be local and Foodland Ontario Certified. You can also find Appleflats products at any one of the retailers or locations above. Enter your email address to start receiving delicious monthly recipes with an all-local focus.